I was going to write a complex post on portrayals of children, landscape, isolation and their relationship to ideas of creation and destruction/the apocalypse. But, for the first time since 2006, Summer has arrived in the UK. So it will have to wait as we break up for the holidays. 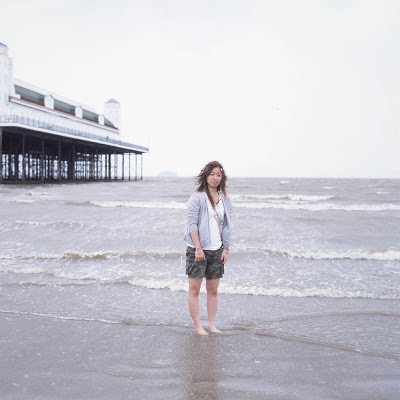 Instead, I will leave you with this picture of Haruka at Weston-Super-Mare, a reminder of just how bad last year was, with a touch of the Severn Estuary Apocalypse about it too.